Fantasy sports nerd, hoping to one day finish first in a dfs tourney, aspiring writer of words, from the Midwest. Justin Thomas finished the Masters eight under, T12, posting 73-68-69-70 for a tournament total of 280, without the 73 to open he might have been in the mix on Sunday. Tony Finau finished the Masters T5 shooting 71-70-64-72 (277), good for -11 and two shots behind winner Tiger Woods, Finau carded a 64 on Saturday but was unable to put it together on Sunday playing in the final pairing with Tiger. Francesco Molinari faltered on the back nine Sunday, watching Tiger Woods surge past him for the green jacket. Molinari shot a final round 74 to finish T5, he played well all week to stay in contention shooting 70-67-66 the first three days. Webb Simpson finished 11 under, two behind Tiger Woods, good for T5, shooting 72-71-64-70 (277) for the tournament. He was -2 on Sunday, with an impressive 64 on Saturday. Jason Day finished 11 under, two shots behind Tiger Woods, and T5 for the Masters. Day shot a 67 on Sunday and 70-67-73-67 (277) for the tournament. Brooks Koepka finished one shot behind Tiger Woods, good for a tie for second on Sunday in Augusta. He shot 66-71-69-70 (276), for the tournament to finish 12 under. Tiger Woods came from behind to capture his fifth Masters win and 15th majors title on Sunday in Augusta. He last won the Masters in 2005 and it was his first majors victory since the 2008 U.S. Open. Woods finished 13 under winning by one stroke, while shooting 70-68-67-70 for the tournament. Dustin Johnson was 12 under for the tournament firing a 68 on Sunday to finish one shot behind five time Masters winner Tiger Woods. Johnson carded 68-70-70-68 to finish with a total of 276 for the weekend. 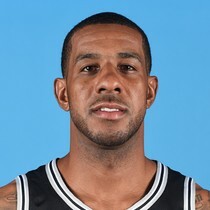 LaMarcus Aldridge scored 20 points with 15 rebounds, four assists, and a steal in Tuesday’s 125-116 overtime loss against Charlotte.